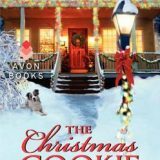 The Christmas Cookie Collection is four delightful novellas featuring characters from Lori Wilde’s First Love Cookie Club novels. All were previously published as Christmas Cookie Chronicles and are now available in this single collection. Heart-warming tales of romance, friendship and small-town charm make each of the tales a holiday delight. Mini review: heart-warming, and romantic it offers delightful tales that allow you to curl up and escape from the hustle and bustle of the season. Welcome to Coffee Pot Reviews! These are short and sweet reviews done in the length of time it takes my coffee pot to brew! 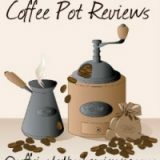 I read a few holiday themed novella’s and wanted to share quick “Coffee Pot Reviews” with you. Each of these can be read in a single evening and all of them are available as eBooks for under a dollar. There is something for everyone from New Adult to Paranormal.